When you have a job to tackle that involves flying particles or splashes, wearing safety glasses may not be enough. Protect yourself with the Jackson Safety V90 Monoshield Safety Goggles Shield – safety splash goggles integrated into a face shield mask. You get full face and eye protection from liquids without the hassle of primary eye protection underneath a face shield. The entire piece is clear / see-through, which allows maximum light transmission (indoor use) and easy worker identification. 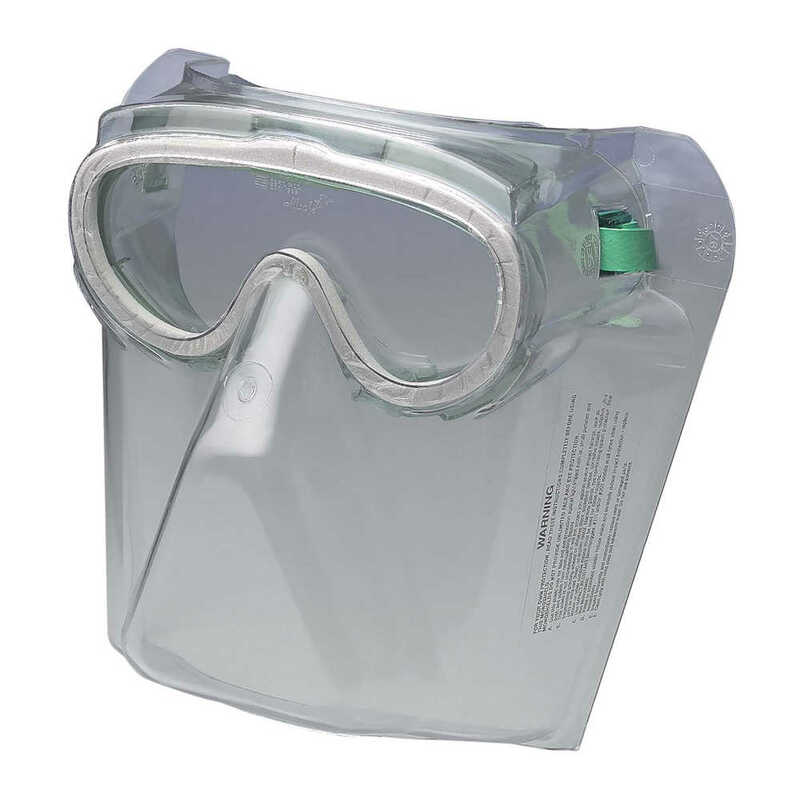 These safety shield goggles can be worn with most bump caps and a disposable respirator and fits over most prescription eyeglasses. The lenses are hardcoated for scratch resistance and longer life and the polycarbonate material provides 99.9% UVA/UVB/UVC protection. They meet the ANSI Z87.1+ standards for impact, with a D3 rating for droplet and splash protection. The face shield mask is curved to conform to the shape of face for added protection. The Shield includes an adjustable strap, so that your workers can get a snug fit. When you need a splash goggle and face mask combo, Jackson Safety V90 Monoshield Safety Goggles Shield is a smart option.